Back row: James Hodge, R Beale. 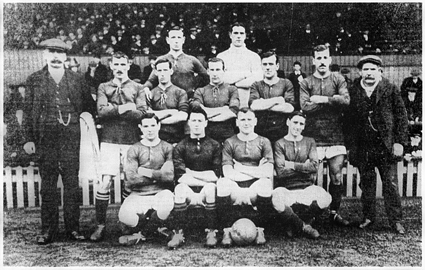 Middle row: H Taylor (Trainer), W Meredith, R Duckworth, G Anderson, A Whalley, G Bracegirdle (Asst. Trainer). Front row: E West, M Hamill, C Roberts and G Wall.